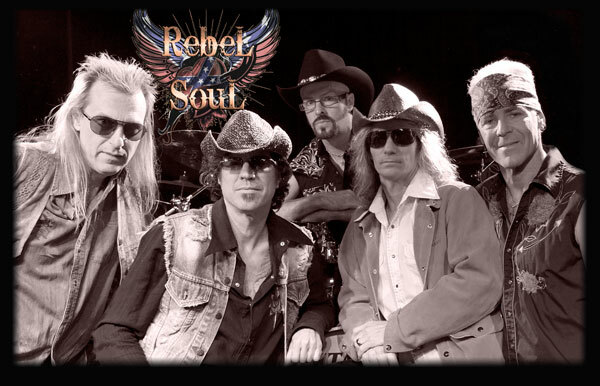 The five members of REBEL SOUL are seasoned musicians with decades of experience in live entertainment. The group was formed out of the desire to play and pay tribute to the foot stompin’ feel good music and spirit of Southern Rock. The band’s repertoire includes Lynyrd Skynyrd, The Allman Brothers, .38 Special, ZZ Top, Marshall Tucker Band and the Black Crowes to name a few… as well as mixing in classic rock and contemporary music with a southern rock flavor. You can book Rebel Soul for your next event just by clicking the "Book Them Now" button to the right and filling out the form. We will be in contact with you about their availability as soon as possible.